If you need any further information, you may find the answer in our Frequently Asked Questions below. Alternatively feel free to Contact Us and we’ll get back to you as soon as we can. We’ve colour-coded our Classes to make it even easier to choose the right experience for you. Help, I have no experience at all! Choose GREEN for our entry level Workshops and Photo Walks. If you have a digital camera, but are not sure how to do more than point and click, these classes are perfect for you. Choose BLUE if you’ve previously completed a Beginners Photography Workshop or know how to use the P or A/AV Modes of your camera. We’ll assume you know a little about essential camera functions like Exposure Compensation, White Balance, Metering, Picture Styles/Controls, Composition, etc. But don’t worry if your knowledge is pretty basic – we’ll revise the essentials whilst learning loads of great new techniques during the Intermediate Photography Workshop or you can choose to develop your skills on location when you join the Intermediate level Photo Walks or Workshops. Choose RED if you’ve previously completed an Intermediate Photography workshop or equivalent and already regularly shoot in the Av/A or Tv/S modes. During our Advanced Photo Walks and Workshops we’ll tackle the more challenging shooting situations to push your creative and technical skills to a whole new level. Some of our creative workshops and walks don’t require any prior experience and are suitable for all levels. Come along and enjoy any PURPLE event regardless of your experience. Still not sure? 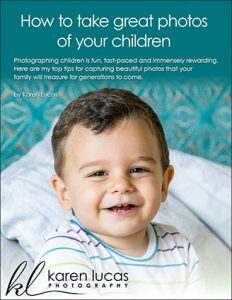 Simply drop us an e-mail karen@karenlucasphoto.com or call Karen on +65 91825478 – we’d love to help you choose the best experience for your skill level. Can’t decide between Beginners vs Intermediate Digital Photography Workshop? I tend to fiddle with the various modes and buttons, but I don’t really understand them and my photos are hit and miss. Sounds like you need a bit of help understanding your camera a bit better. We suggest you start with the Beginners Photography Workshop even though you might already know some of the techniques we’ll cover. Many of our clients who jump straight to the Intermediate programs tell us they wish they’d done the Beginners Course first as it’s very comprehensive and covers loads of creative tips and techniques, plus participants learn how to ‘see’ light and shadow, what makes a ‘good’ versus ‘bad’ photo, and all the essential camera functionality such as lens choice, focus, white balance, light metering, picture controls, exposure compensation, how Aperture, Shutter Speed and ISO work together, and so much more. I’m quite comfortable using the basic camera functions (I can adjust White Balance, Exposure Compensation and ISO, I know a bit about lenses and composition, and I use the middle focus point to lock focus when I want an off-centre subject to be sharp), but I’m still struggling with the different shoot modes (Av/A vs Tv/S vs M) and I still end up with lots of blurry photos, or photos where the depth and sharpness are not what I want. If you want to get out and learn on-the-go whilst exploring Singapore, come and join one of our Photo Walks. If you have an interest in a particular genre of photography such as Wildlife, Macro or Ultra-Wide Angle Lens Photography, then the Intermediate to Advanced Workshops will help you develop your skills in niche areas. Or, if you’d prefer a more structured workshop where you learn how to master the A/Av and S/Tv modes to confidently capture more challenging scenes (family and friends, holidays, special events and night scenes), the Intermediate Photography Workshop is crammed with practical techniques that you can apply every day and plenty of inspiration to get those creative juices flowing. What’s the difference between a Photography Workshop and a Photo Walk? The 2.5 Hour Photo Walks are recommended for those who want to explore and photograph Singapore’s iconic landmarks, diverse attractions and vibrant festivals with an experienced photographer by their side giving practical tips on how to approach each scene to capture the best light and angles, which camera settings and lenses work best, and how to get more creative with your shots. The 3-Hour Photography Workshops are structured classes covering specific techniques in a step-by-step format as described in the Workshop Description. Students receive a comprehensive Workshop Manual describing all the techniques taught during the class. What kind of camera do I need to bring? Any digital camera (Point & Shoot or DSLR) that allows you to move off Auto to use the creative Shoot Modes: P (Program), A/Av (Aperture Priority), TV/S (Shutterspeed Priority). Some classes like the Night Photography Workshop require additional gear like Tripod and particular lenses. Any additional requirements will be stated in the event details when you book. Can I rent a Camera, Lens or Tripod? Yes, we can arrange 10% Off camera, lens and gear hire from Camera Rental Centre who offer an excellent range of photography gear at very affordable prices. What happens if it rains? Do the outdoor photography classes go ahead? Most of our outdoor photography classes will be postponed to an alternate date if it’s raining on the day or if rain is forecast. You’ll be informed by text and e-mail at least 1.5hrs before the event if it’s going to be cancelled. If your class is cancelled due to bad weather, you will have the option to attend another class instead or receive a full refund. Our bookings are non-refundable and we require 7 days’ notice to change a booking. However, we do make exceptions when there is a waitlist for the class and we are able to fill your place with another attendee. In such cases, you’ll receive a full refund less a $30 admin fee. Alternatively, you could gift the experience to a friend, sell it on forums like Singapore Expat Wives Classifieds, or donate the experience to a local charity organization. If you’d like to change a booking, simply let us know at least 7 days in advance to change your booking to another event later on. You could also gift the experience to a friend or a local charity if you prefer. For Workshops spanning several classes, you can attend the missed lesson with another group at no extra charge when there is a place available.